730 Universal Flexible Hygienic Wall & Floor Tile Grout is a cementitious grout designed specifically for wall and floor tile applications for joints up to 15mm wide. 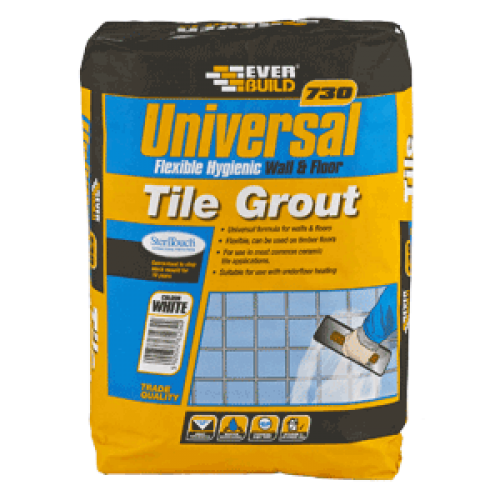 The added powder polymer in 730 Universal Grout provides flexibility and water resistance to provide a durable water repellent finish. Suitable for most common tiles including ceramic, natural stone and porcelain. 730 Universal Grout contains SteriTouch® for long lasting Anti-Fungal protection against black mould.